Whether you’re looking for Aarhus’ main attractions or things to do off the beaten track, this list has you covered. From the city’s known museums to underground cultural spaces and the great outdoors, here’s what you won’t want to miss when visiting Denmark’s second-largest city. Not far from the Aarhus city center lies Marselisborg Forests, a massive woodland expanse of oak trees, anemone fields and rare plants, such as bleeding corals and the poisonous Satan’s mushrooms. 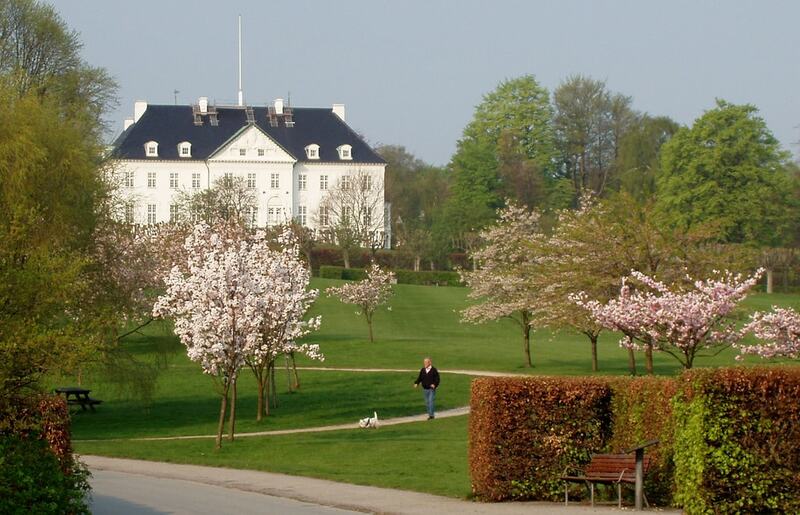 Marselisborgskovene, as it is known in Danish, is popular among locals for fitness activities, such as mountain biking or jogging, as well as for one-day excursions during the summertime. Take a walk along the northern part of the forest to see the hundreds of deer at Marselisborg Deer Park, then have a picnic surrounded by Danish nature. 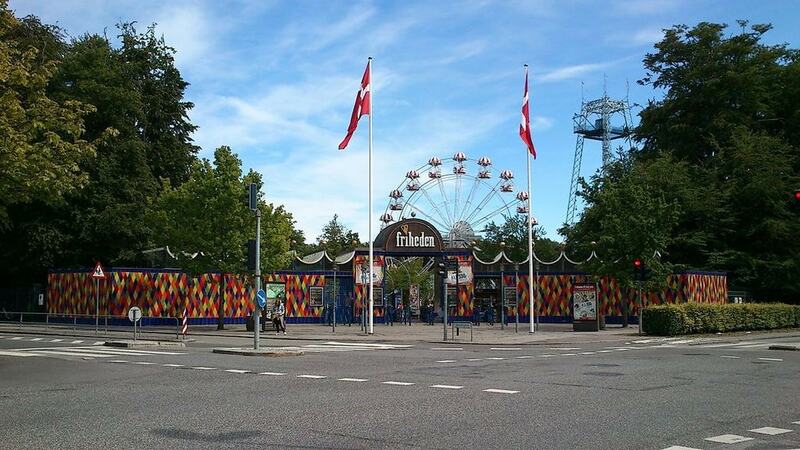 It may not be as impressive as Tivoli Gardens in Copenhagen, but Tivoli Friheden has many rides and activities that visitors young and old will love. Situated in Marselisborg Forests surrounded by trees, Aarhus’ amusement park is the ideal destination for a day away from the city’s hustle and bustle. 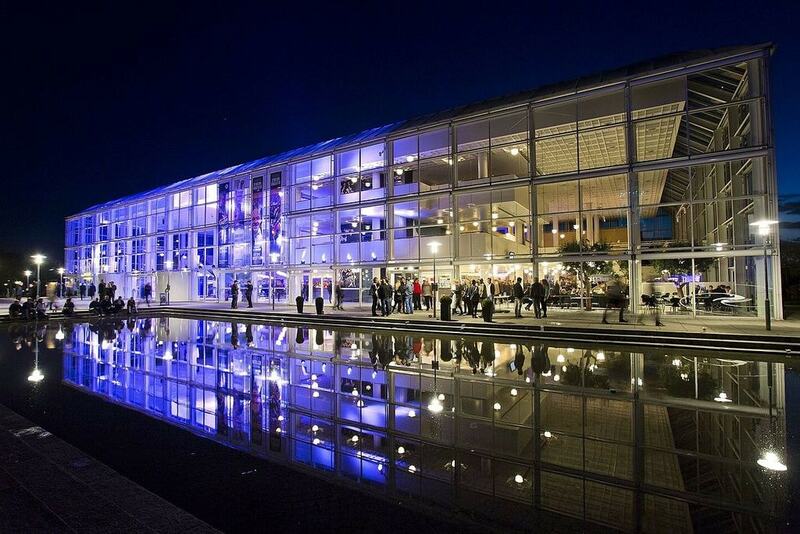 Aside for 40 activities, restaurants and food stalls, Tivoli Friheden has a cultural hall where concerts, theater performances and other events take place from April to October. Don’t expect to find well-polished corridors and huge vitrines with exhibits at The Old Town Museum. You will, however, gain real insight into Danish history and local life from the 1900s up until the late 1970s. This open-air museum features 75 historic houses relocated from all over the country, more than 34 shops, a pharmacy, a school, a post office, a jazz bar and other workshops made to look like they did back in the day. 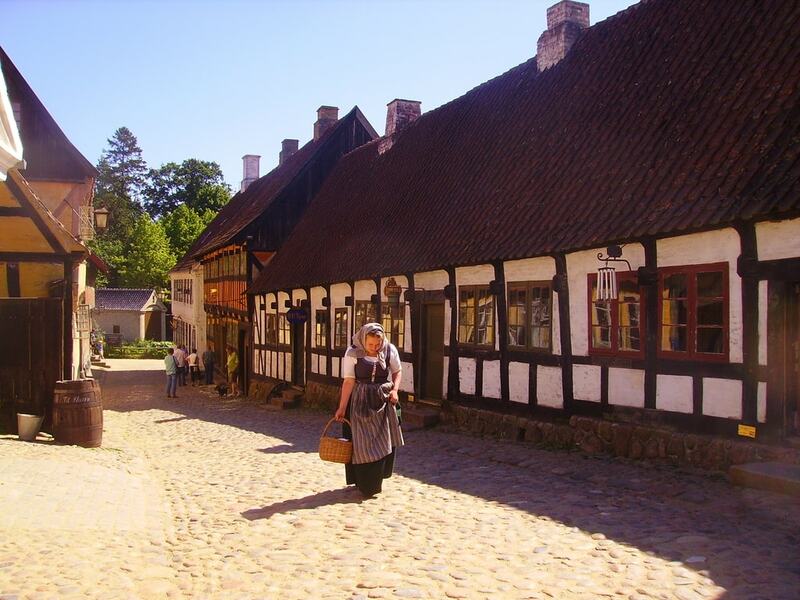 People in traditional costumes role-play the daily activities and habits of their ancestors, transporting visitors through life in Aarhus’ Old Town during the 20th century. A walk through Aarhus’ Latin Quarter is a must, no matter what type of traveler you are. Everyone loves this part of town and not without reason. Pedestrianized alleyways, cozy cafés, chic boutiques and a vivid nightlife with bars and nightclubs for all styles are what make this neighborhood so special. Just ten minutes walk from the Latin Quarter stretches Møllestien, one of the city’s oldest and most beautiful streets. Take a romantic walk and see the alley’s colorful houses that date back to the 18th century. With thousands of events taking place throughout the year, a visit to Aarhus’ Concert Hall should not be missing from any music lover’s bucket list. This impressive building has six halls and nine stages hosting established and up-and-coming artists from the local and international scene. Aside for concerts of all music genres, Musikhuset Aarhus hosts theater and dance performances, as well as free events for the whole family. Over the past few years Aarhus Ø has undergone development and is now one of the city’s most vibrant quarters. Especially on the warm sunny days, the area is packed with locals and tourists relaxing by the waterfront or practicing their yoga skills at Strandbaren (The Beach Bar), the city’s hippest spot during summer. Even though the renowned beach bar is only open seasonally, many more cafés and bars pop up all around the area during the colder months. 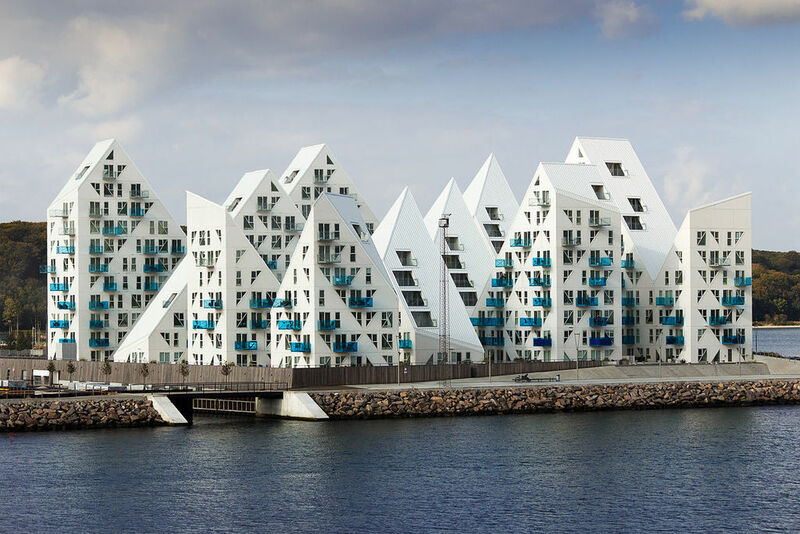 Aarhus Ø is also the neighborhood where you’ll find the Iceberg, the impressive and peculiar apartment-block, and Dokk1, the beautiful glass building that houses the Aarhus’ Library. 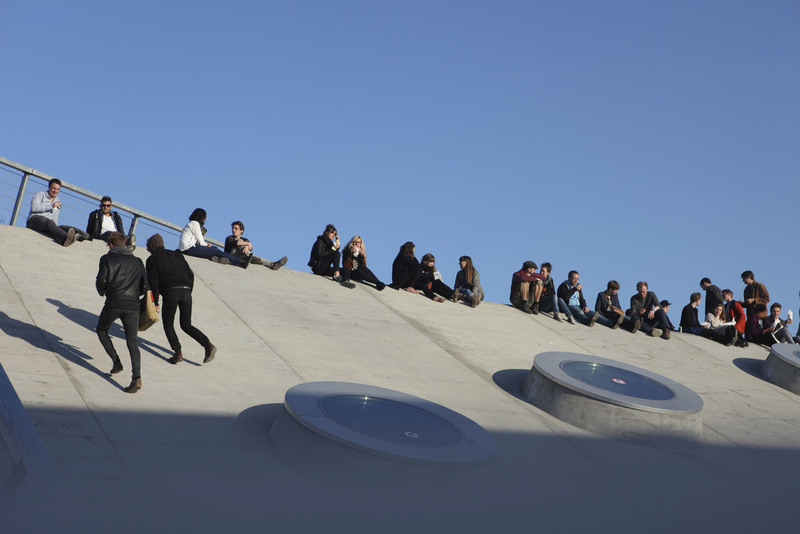 Walk inside a colorful rainbow on the top of ARoS Aarhus Art Museum and enjoy a magnificent view of the city. 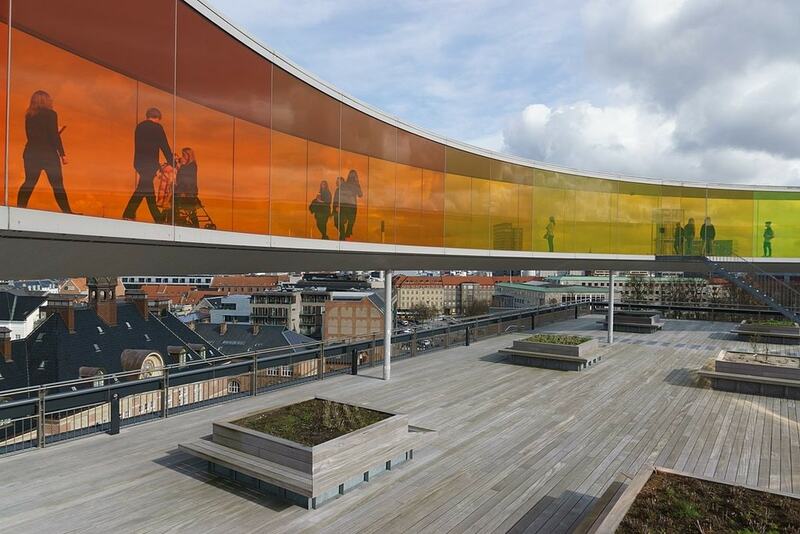 Your Rainbow Panorama was designed by Olafur Eliasson and opened in 2011, adding a colorful and stylish touch to the already notable building. Aside for a great number of temporary exhibitions, the museum has a great collection of Danish artworks spanning over 300 years, including Copenhagen’s Golden Age, the avant-garde CoBrA painters, and contemporary works. Godsbanen is a cultural space hosting workshops, performances and other events all year round, attracting aspiring artists and culture lovers. The buildings that now house theater stages, project rooms and dance halls used to host one of Denmark’s largest feight train yards. Even though they’re completely renovated they still preserve the industrial atmosphere of the area, showcasing the history of the place. Even if there isn’t any special event or flea market taking place at Godsbanen while you’re visiting Aarhus, drop by and indulge in a warm cup of coffee in the cultural space’s café and enjoy a breathtaking view from the roof. 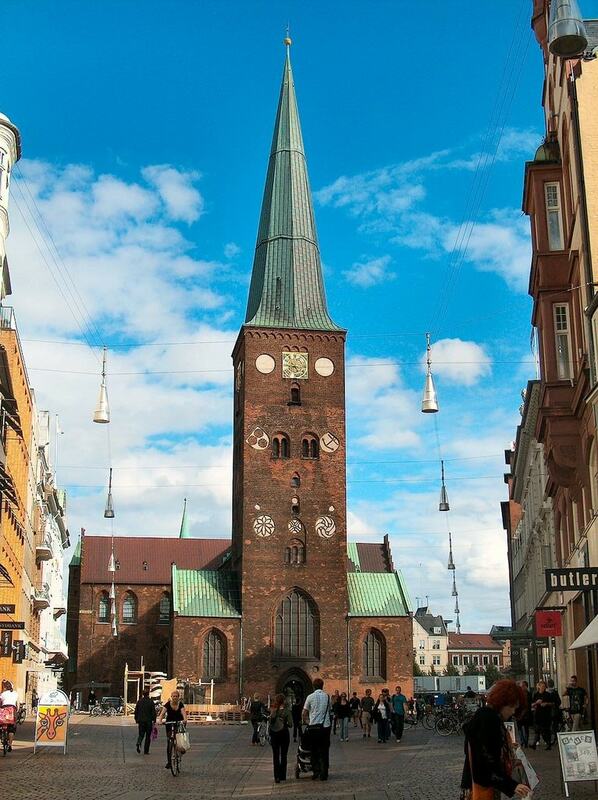 Architecture enthusiasts should make a stop at Aarhus Cathedral, the 93-meter (300-foot) church that combines Gothic style with Romanesque elements. The exact year of construction is unknown, but it is estimated to have started during the last decades of the 12th century and to have been completed around 1350. From 1449 until about 1500, Denmark’s longest and tallest church was rebuilt based on the Gothic style and took on the final form visitors see today. In 2016, Aarhus’ historic hall opened its doors again for the first time in over a decade, welcoming the city’s foodies and gastronomic connoisseurs. 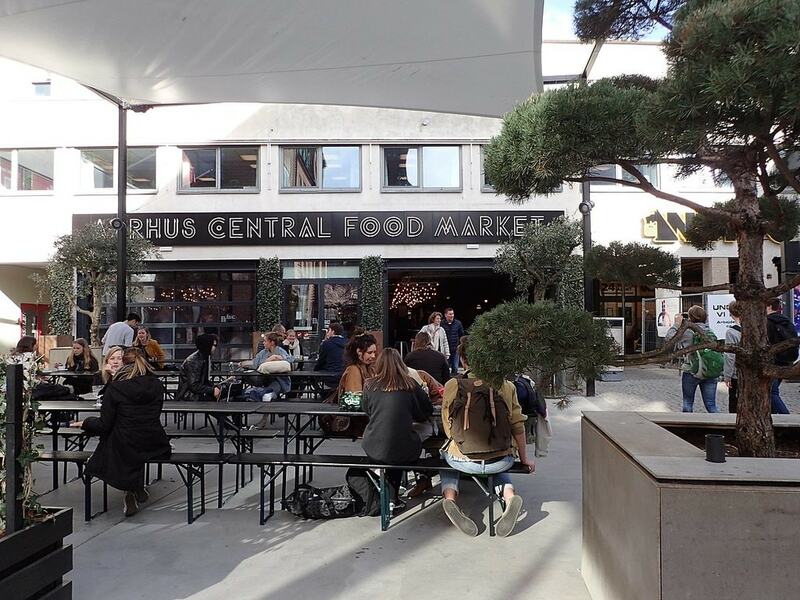 In Aarhus Central Food Market you’ll find more than 20 market stalls, open everyday from morning until late in the evening, serving delicacies for all tastes. Special events often take place, with professional chefs taking over the stage at the Kitchen Show and sharing their knowledge and secret tips for a unique culinary experience.